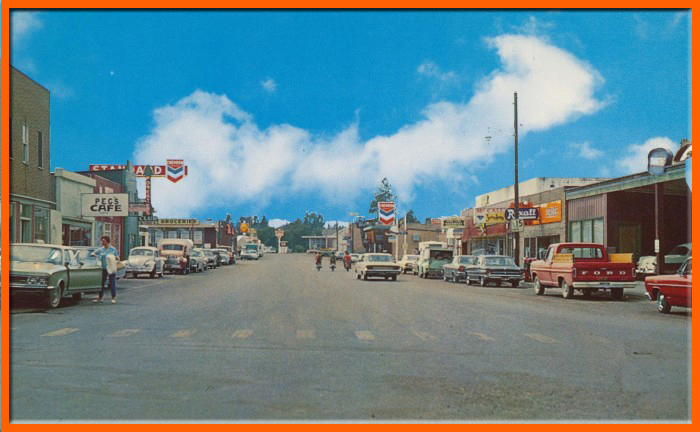 McCall, Idaho in the 60's. More Than A Hardware Store Since 1934 ! When Roy May started his general store, the closest supply source was in Boise, a two day journey. Roy's philosophy was "you can't sell it if you don't have it," and he stocked his store accordingly. He was known for having everything from dynamite to fishing lures (which were sometimes used together!). That philosophy hasn't changed. Customers often marvel at the depth of products available in this little store. The original May Hardware was on the south side of Lake Street in downtown McCall. In 1940, it moved across the street onto the lakeshore where it remained until 2002. Then owners Rick Fereday and Bob Hill moved the store to its present location at 809 N. 3rd Street,a few blocks from the old location. Bob Hill has since retired and Scott Fereday has taken over for Bob. Drop by and let us help you. STIHL is the trusted name for professionals and homeowners who demand power, dependability and longevity from their outdoor power equipment. For over 80 years, STIHL has led the industry through invention and innovation, developing technology that delivers performance, comfort and higher fuel efficiency. 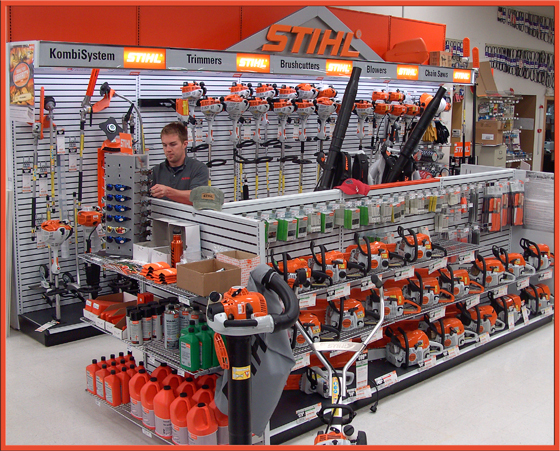 From our legendary chain saw to our lines of trimmers, blowers and more, each and every piece of equipment is built with unwavering standards that have made STIHL the premium name in outdoor power equipment. Because of this dedication to quality and reliability, it is no surprise that STIHL is the #1 selling brand of handheld outdoor power equipment in America! When you're in the field or on the job, taking time to sharpen your saw chain doesn't have to mean a trip back to the shop. 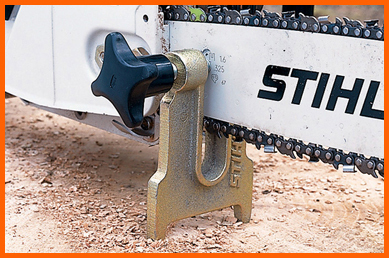 Simply attach this stump vise to any log or stump to hold your chainsaw's guide bar. It securely holds the guide bar while the cutters are being sharpened. May Hardware is proud to announce that we are now a dealer for Alpha Three Complex. Alpha Three Complex is a combination of three 100% organic compounds that form a symbiotic relationship to give lawns,flowers,plants and gardens the essential nutrients and microorganism activity to grow to their fullest potential. Alpha Three Complex replaces chemical fertilizers, which improves our environment and our health. It's safe for children and pets and will not burn. Alpha Three Complex is easy to apply. To learn more about Alpha Three Complex please click on the above banner. Regional Web Cams Click Here. Northwest Web Cams Cick Here.